JIXIS makes learning music simple, easy and fun! What is a Jixis Graphical Music System for a keyboard? A Jixis Graphical Music System for a keyboard is an amazingly simple and totally free way to quickly learn how to play out ordinary black and white written music on a piano-type keyboard. Jixis also works on stringed instruments, as explained further below. On this site you will be able to download a free PDF copy of a Keyboard Instruction Manual or a Keyboard Quick Start Guide, and a Keyboard Label Set that includes a color coded label set sheet and a color line staff guide. The Manual or Guide will teach you how to use the label set sheet and color line staff guide to quickly locate the keys on your keyboard that correspond to the notes in ordinary black white written music. The Quick Start Guide is for anyone who is already familiar with basic music concepts, whereas the Manual uses a more comprehensive approach to explaining the relationship between written music, your keyboard, and the Jixis system. How does a Jixis Graphical Music System operate? The white keys of a keyboard are arranged so that they directly correspond, left to right, to the bottom to top line/space order of written music. Thus, every other white key on the keyboard corresponds to a line position in the written music, and every white key in between the line positions corresponds to a space position in the written music. Although these facts are hidden from your normal view when a keyboard is unmarked, when the removable Jixis color coded labels are applied to the unused rearmost portion of every other white key on the keyboard, you can actually see the graphical format of the written music within the color coding. 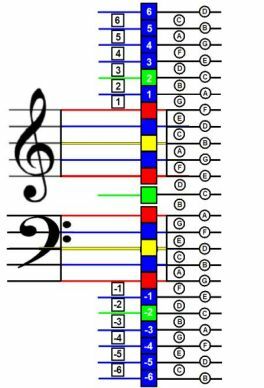 It is then a simple process to project the same color-line sequence onto written music. Once you understand how the color coded labels have transformed your keyboard into a graphical format that is equivalent to the graphical format of written music, you can easily understand how the line/space positions of the written notes in the music correlate to specific keys on your keyboard. Will Jixis replace conventional music training? No, Jixis is not intended to replace formal keyboard training, but rather to enhance it. 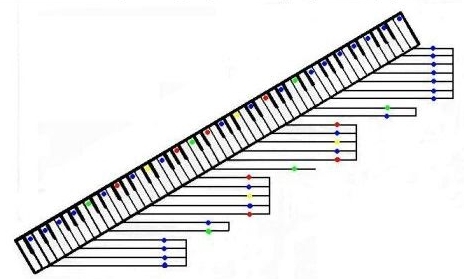 Once you learn how to play your keyboard by note and key letter names using the Jixis method, you will be ready and able to learn more about music on your own or from a professional teacher�but by then you will already know how to read music and where each key is located on the keyboard. Once you become familiar with the idea of playing by using the graphical correspondence between the written note positions and the keyboard keys, it becomes an easy process to learn the letter names of the musical note positions and the keys bearing the same names. Then you can begin to gradually overlook the keying labels and just play the keyboard in terms of the written music. Remember that you will almost immediately be experimenting with the playing of virtually any piece of music written for the tonal range of your instrument, and not just �easy play� colored or numbered music. And you will be learning as you play! The more you play, the more you will learn about what it means to play without using the Jixis system�because your entire effort will be toward attempting to override the system and using your playing experience to guide you! We wish you the best in all your attempts to bring music into the world! If you have a string fingerboard instrument, such as a guitar, bass guitar, violin or cello, or other stringed instrument with a fingerboard, and wish to use the Jixis Graphical Music System with your fingerboard instrument, please continue on to the Jixis Fingerboards page at Jixis.com/FB.htm. Please Forward This Site to Your Friends! 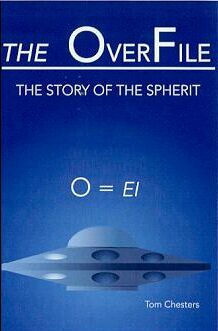 Visit the 42nd Century with The OverFile! 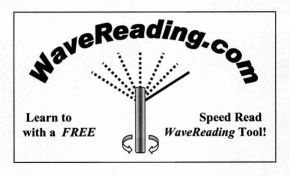 Please note: You are specifically prohibited from charging, or requesting donations, for any copies, however made, and from distributing such copies with other products of any kind, commercial or otherwise, without prior written permission from the copyright owner. Also note that the site owner is not responsible for any damage to a musical instrument as a result of utilizing Jixis labels with that instrument. For a FREE downloadable copy of Adobe Acrobat for use with the Jixis PDF downloads, please click here! note that the material being offered for free on this site is copyrighted and cannot be legally offered for sale or paid distribution of any kind without the express permission of the copyright and trademark owner.